In this episode, Lisa shares how she began Stroller Strides during the first few months of being a first-time mom. Finding that she had so many questions and was also in need of a community of like-minded people, she decided to bring together 4 moms to workout and from that small beginning and an unexpected television opportunity, it turned from 4 to 40 participants overnight, and that was just the beginning. Lisa discovered that she had tapped into a market that was not only needed in California but across the country. With heart and hustle, she quickly turned her one-woman show into a franchise Fit For Mom. Lisa shares her thoughts on the power of community and how important it is to find your tribe during all stages of motherhood. We talk about the importance of sharing and showing the chaos as well as the good, as it is in struggles that true connection occurs. During the conversation, we talk about the importance of delegating to others and surrounding yourself with people who can complement out strengths and step in to fill the gaps.We also discuss the balance (is there such a thing) of life and motherhood and Lisa shares strategies on how to create a life that allows you to go with the ebb and flow of the day to day. Lisa shares her top tips for busy moms and gives advice on how to deal with overwhelm. She also shares her thoughts on the importance of reflecting versus goal setting. She also encourages us to prune what’s in our life so that you can carve out the extra time to do the things you love with the people you love. Lisa Druxman is a nationally recognized speaker, author and expert in the field of fitness, and particularly pre/postnatal fitness as the founder of FIT4MOM, the world’s largest wellness company with fitness programs exclusively and thoughtfully designed for moms. As the creator of an empire around healthy motherhood, Druxman is best known for her dedication to raising healthy moms and healthy families. In 2001, Druxman became a mom and an entrepreneur. She was looking for a way to blend her passion for fitness with motherhood. “I decided to create a workout that I could do with my baby,” she recalls. “I didn’t want to miss a moment of his new life but also knew that I needed to take care of myself.” From there, she created an exercise routine for new moms and realized that other mothers would benefit from working together to restore their well-being. Druxman now leads a business that brings exercise, companionship, and support to tens of thousands of moms around the country. She started with Stroller Strides® and over the years added Fit4Baby®, Stroller Barre® and Body Back®, now all the classes that make up FIT4MOM, one of the fastest-growing franchise businesses in the country. With a Master’s degree in Psychology, Druxman has been studying exercise adherence as a certified fitness professional for nearly 25 years. She’s been featured numerous times on The Today Show and has made guest appearances on Montel, CNN, Inside Edition and more. Lisa’s articles and story have been featured in parenting magazines such as Pregnancy, Parenting and Baby Talk; fitness magazines such as Fit Pregnancy, Shape and Self; and business magazines like Entrepreneur and Working Mother. 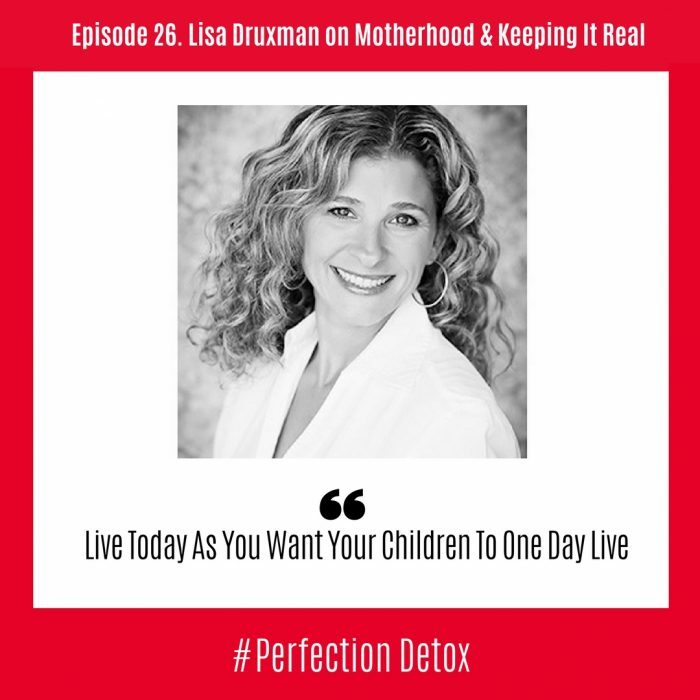 In her 15th year of successful business, Druxman is inching closer to her mission of positively impacting a million moms – helping them all gain strength in motherhood. In 2017, she will continue to host the Empowered Mama podcast and release her second book.